If you have purchased a pre-construction condo and wish to sell it today, you will have to assign your condo. This type of sale is called an assignment sale. The building has not been registered and you do not have ownership, therefore you are selling the Purchase Agreement. · The New Buyer (assignee) will take over the responsibilities of the original buyer and assumes all rights and terms of the original Agreement. · Assignor (original purchaser) remains responsible if new buyer defaults on closing. · New buyer occupies and pays interim occupancy fees until closing. 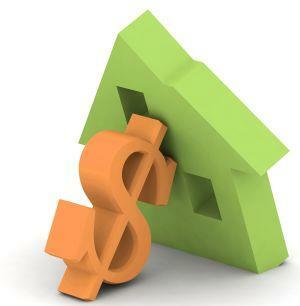 · New buyer places deposit in trust till closing (balance divided on closing to original purchaser and Builder/Vendor). To proceed with selling your purchase agreement, you need to have consent in writing from the builder. There maybe a fee associated with selling your condos interest. Terms and fees vary. Standard fees are up to 1%. Have the New Buyer pay for Interim occupancy fees ("Phantom rent") from acceptance of assignment until closing and pay for all closing costs + adjustments. A reasonable deposit will be secured till closing. You will receive the deposit plus profit on closing. The New Buyer will have a mortgage in place to pay the builder. 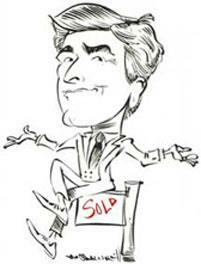 By selling your interest, you will avoid all closing costs including the Provincial and Toronto Land Transfer Taxes. After review of your agreement and receiving consent from the building to sell your interest, hire a professional Real Estate representative who has experience selling condo assignments. Not many Realtors have the expertise and experience handling condo assignments. Contact us here, Harry and Alex Melconian, sales representatives with Re/Max Hallmark Realty for successful sale of your condo assignment. 1. Price will be better than competing resales. 3. Closing date closer than buying pre-construction (3 months vs. 3 years). 4. No builder deposit – just a good faith deposit. 1. Sell prior to closing – avoid double closing costs. 3. Avoid GST (or HST) rebate disqualification. 4. Avoid Interim Occupancy costs. 5. Get builder deposits and Net Proceeds upon Final Closing. Sell your Purchase Agreement Now.